The continued success and growth of Warwick Manufacturing Group (WMG), at the University of Warwick, now means that it is seeking to hire at least 170 new recruits – a 30% expansion on its current workforce. The search is on to find: engineers, researchers, project managers, data analysts, software developers, and technicians. They will play key roles in a significant number of high-tech research projects that have been developed in partnership with a range of companies and research, technology and manufacturing initiatives. 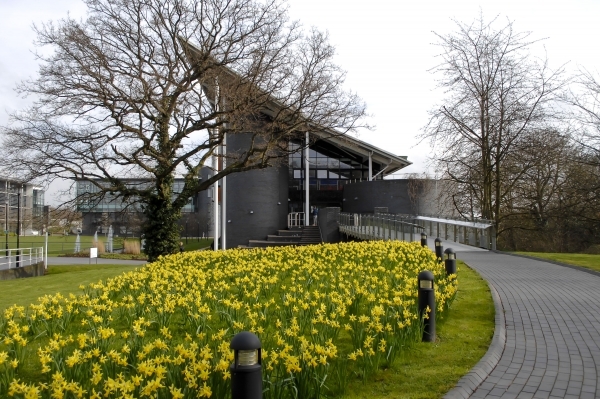 WMG, an academic department of the University of Warwick, has around 500 people working in state-of-the-art facilities across seven dedicated research and education centres, on the Warwick campus, plus collaborative centres in seven countries. It has annual programme of £180m and is the lead partner in a range of projects that bring together global companies and small businesses (SMEs). A recruitment Open Day will be held on Saturday 8th April for anyone who is interested in finding out more about the opportunities. Liz McArdle joined WMG in February, this year, as Innovation Manager and as an alumnus, she was aware of the strong industrial focus that runs throughout the department. This was something, which attracted her to the role, as well as the focus on helping support SMEs to improve productivity in manufacturing. Luke Millage, Precision Engineer has been at WMG for three months and it was the state-of-the-art facilities and capabilities that first attracted him.